High Point High School students staged a walk out protest on Tuesday because Donald Trump won the presidency. 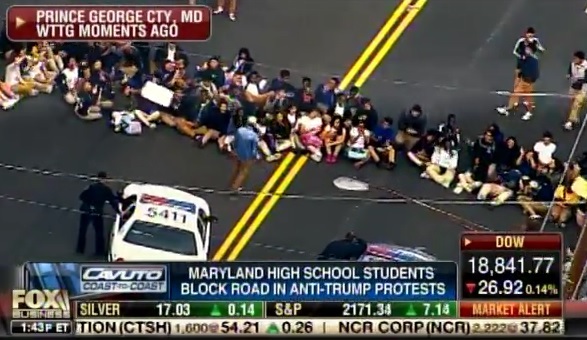 They gathered on the highway and sat down blocking traffic. Isn’t that endangering the students? Should they be prosecuted for endangering the students? Are the parents OK with their kids sitting in the highway? And why are high school students allowed to walk out of school because they disagree with a national election? What are they teaching the kids, to stomp your feet and shut down traffic when you don’t get your way?